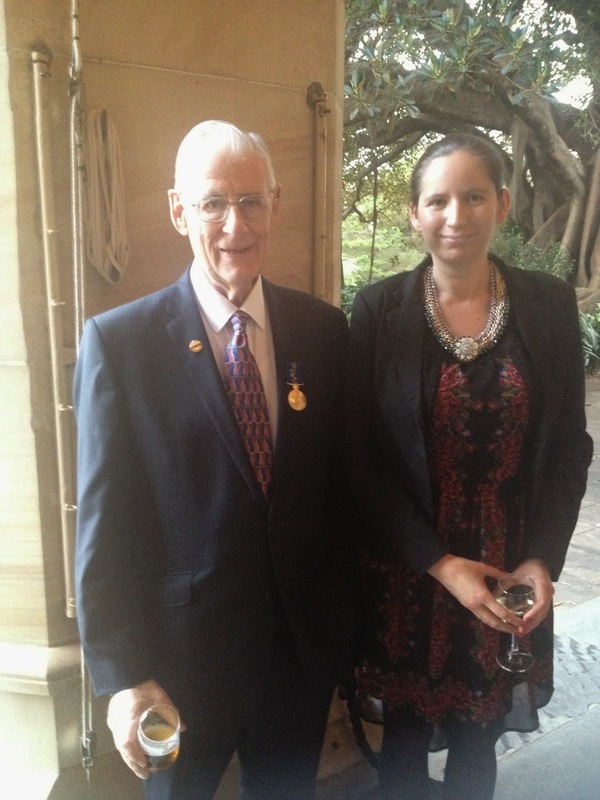 Gary Austin Wilson OAM was invested with an Medal of the Order of Australia on Friday 2nd May 2014 at Parliament House, Sydney. Gary is a recipient for his involvement in Toastmasters International as Past International Director and Distinguished Toastmaster. Gary attended the event with his wife Elizabeth Wilson, his son Michael Gary Wilson, and his granddaughter Melanie Suzanne Wilson. A flautist and clarinettist entertained guests as they were seated before the official program. 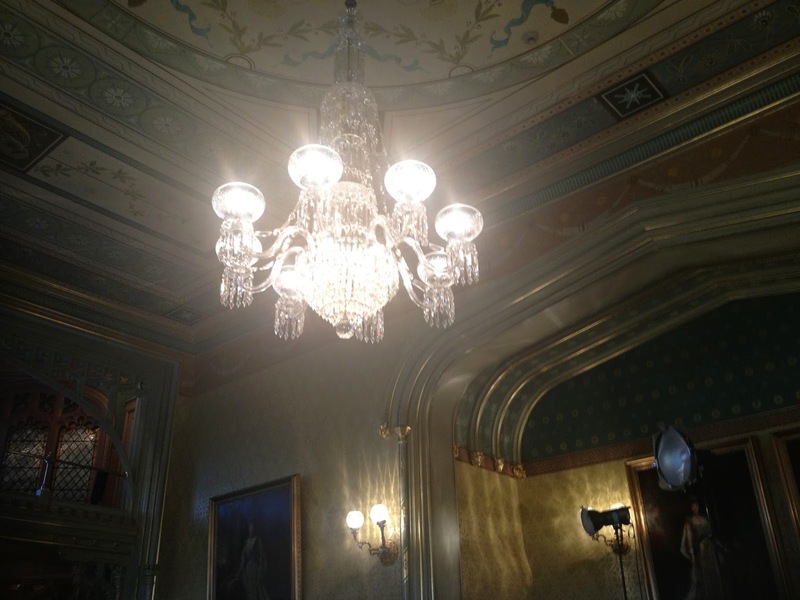 The beautiful decor in Government house formed the perfect atmosphere for guests. Attendees arrived at 2pm, to be seated at 2:30pm and to commence the investiture at 3pm. Sir Nicholas Shehadie entered the Ballroom first. Sir Shehadie is the husband of Marie Bashir, Governor of New South Wales. The Official Party then entered the Ballroom. All stood to see the arrival of Her Excellency Professor The Honourable Marie Bashir AC CVO Governor of New South Wales as she entered the Ballroom. All sung the first verse of the Australian National Anthem, led by the Governor. Her Excellency the Governor of New South Wales gave opening remarks to congratulate recipients for their contributions to the community. Recipients were invested one by one. A military MC announced each recipient by presenting, from the lectern, ninety second descriptions of achievements. Her Excellency presented the medal for recipients to attach to their lapels. Her Excellency gave closing remarks to again confirm how proud she was of everything the recipients had done. All awardees had demonstrated years of brave and selfless assistance to the community. Her Excellency and Sir Nicholas Shehadie, followed by the Official party, moved to the Colonnade. All guests mingled with the Official party over white wine, salt and pepper snapper, smoked salmon sandwiches, and other refreshments. 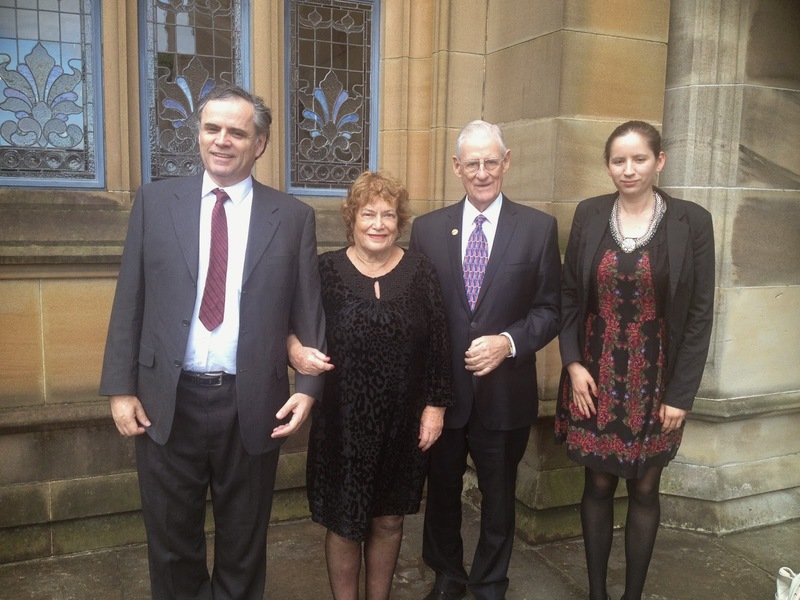 Gary Austin Wilson OAM and Melanie Suzanne Wilson spoke with the Governor of New South Wales. They expressed sincere gratitude as she took time for this special day. Protocol was ensured with the assistance of Rick, Lieutenant Commander Rick Stone, RANR. Rick was a friendly companion to all the guests. He congratulated Gary for the involvement in Toastmasters. Gary introduced Melanie as an involved member of Toastmasters. 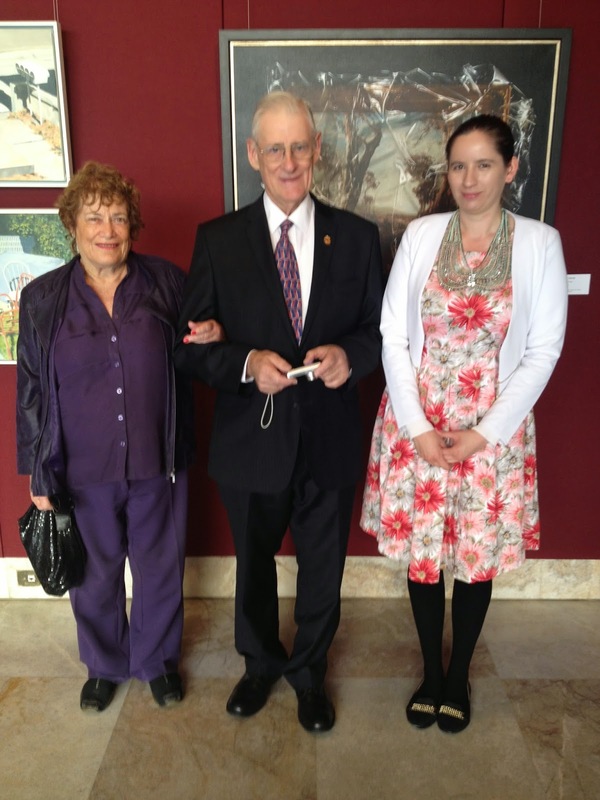 Her Excellency Marie Bashir was a delight to speak with. She is relatable and extraordinary. Melanie Wilson was in awe of the work Bashir achieved in community mental health. 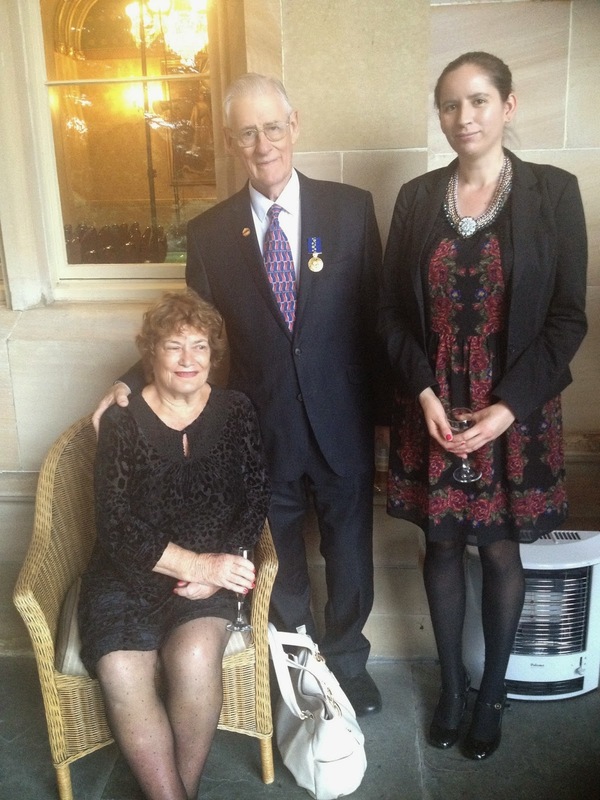 Gary, Elizabeth, and Melanie Wilson attended a luncheon on Thursday 1st May 2014 with The Order of Australia Association with the OAM recipients from NSW. They enjoyed mingling and hearing inspirational stories. These recipients volunteer their time in areas such as medicine, the arts, and more. Every recipient is an example for all Australians to emulate. The luncheon and investiture were delightful. Gary Austin Wilson OAM is a humble dedicated leader. He is indeed following in the footsteps of his father Sir Austin Wilson.